A vibrantly coloured liquid snack to get you through the morning. This drink originates in Aurvedic medicine. Tumeric (Curcuma longa) is well known for its anti-inflammatory properties. Place almond milk in a pot and heat slowly on low. 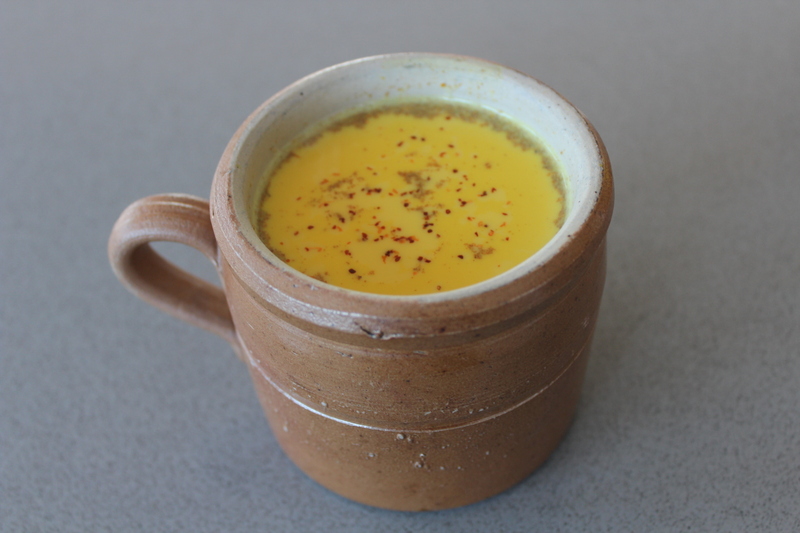 Once milk is hot but not boiling, whisk in the turmeric, cinnamon, ginger and honey until combined.